First things first - we've finally been sent good weather in Music City, so I am back to putting on makeup and real clothes! 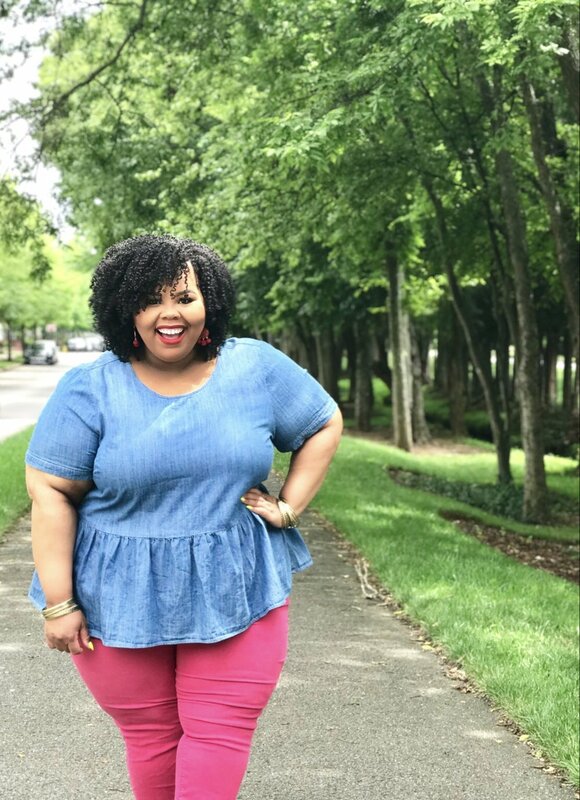 During the great majority of May and June your girl was hot, sweaty and just plain tired, but luckily I found this Chambray Bow Back Tee on clearance at Lane Bryant to get me back into the swing of things. So, here we are!